Romance à Paris series design is a tribute to romantic Paris, depicting lovers stroll dependent warm ambience, with her mother's youthful good review with the heart of the most romantic memories. 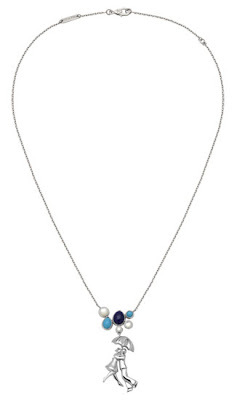 Long necklaces, pendants and bracelets, the delicate White gold figure modeling show extraordinary temperament in the lapis lazuli, turquoise, white, festooned with pearls and diamonds under fritillaria . Characters with the most cutting-edge "high jewelry" craft hand-carved, lively showing off those who resist, fingers intertwined, and each moment of endless fascination with gazing tenderness. This poetic and creative inspiration into a long necklace dazzling fine, vividly reproduced wonderful lover dating situations. Two young men back to back standing, as if being intoxicated in their dreams. They look forward to the arrival of love? Youthful girl recognized her lover, can not hide their feelings; while the young boy was pretending indifference they simply playing with his hat ... In the end, the couple hugged in the rain umbrella in the diamond, pearl Fritillaria, lapis lazuli and turquoise of for the warm. 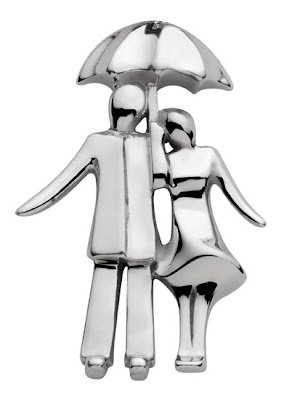 Delicate pendant said for you about the rain, the last dating warm scene: This is the lovers hugged again under the umbrella , enjoying each other's warmth of the shelter. The design of Mercredi à Paris series is slightly naughty and lively character, with her childhood for you, go back to the carefree beautiful childhood. Refined and lively characters created by the rose gold, colorful coral, white pearl and diamond tri-color fritillaria accessories, gorgeous big balloon seems to be carrying her go to a magical fantasy paradise. 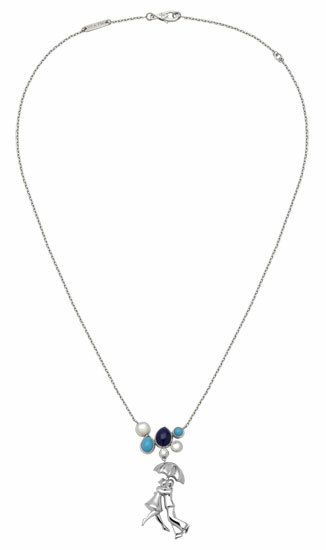 A long necklace has demonstrated an afternoon to enjoy the warm outdoor fun moment: a boy sitting on his father's shoulder, the mother is not far from the girl's looked at her with loving ,and a large cluster balloons floating to the sky. Similarly, highly creative design pendant,that reproduction style of holiday in Paris, use a little girl with the balloon floating as a central theme, vividly demonstrated the joy of a carefree childhood scenes, the balloon fritillaria by white pearl and coral Seiko made. Modeling fun bracelet outlines a lively scene on the playground, the children happily playing with carved coral by the pear-shaped or arc balloon. Une Journée à Paris ring depicting a woman in Paris,which spent a full and exciting day. 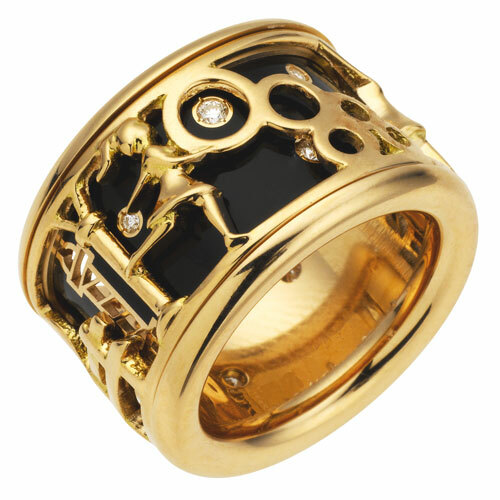 Black lacquer background shines K rose gold or white gold carving, with joy, light, and dream-like atmosphere to representation many wonderful experiences of her on the street in Paris. 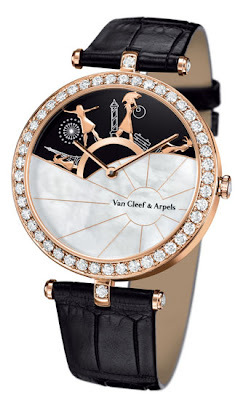 New Poetic Complication watch interpreted in light of the beauty city walking tour, Une Journée à Paris invited her to travels in Paris with the most symbolic landmarks. Black onyx dial, the exquisite character sketch on it, back and forth with the graceful movements of the time constant rhythm, reproduce them to spend a perfect day in dream Paris. In the beauty pearl fritillaria dial, lively group of group of people have the stage, every 24 hours will presented again.